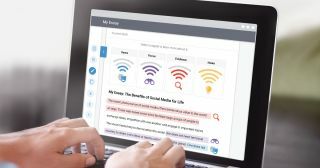 OAKLAND, Calif. - November 15, 2017 - New historical analysis writing prompts for Turnitin Revision Assistant—a digital teaching tool giving students immediate, actionable feedback while they write—support writing instruction in content areas beyond English/Language Arts. Students, educators say, need direct writing instruction in all curriculum areas in order to write effectively and analyze domain-specific texts. Revision Assistant is one way to give students more meaningful practice across disciplines without adding stacks of essays to a teacher’s grading pile. Click to Tweet. Social studies teachers who are tasked with teaching history and civics rarely have time to give direct writing instruction. This may be a reason why their writing assignments tend to be shorter. However, Revision Assistant is one tool teachers can use to give meaningful writing instruction and relevant feedback without adding to their workload. With Revision Assistant, students write to a prompt, such as an argumentative essay on the Modern Revolution. At any time while writing, students can request a Signal Check and Revision Assistant will immediately give four points of feedback specific to their essay.